The Netherlands (aka Holland) is the 30th most densely populated country or territory in the world and the densest country in Europe with a over 10 million people. 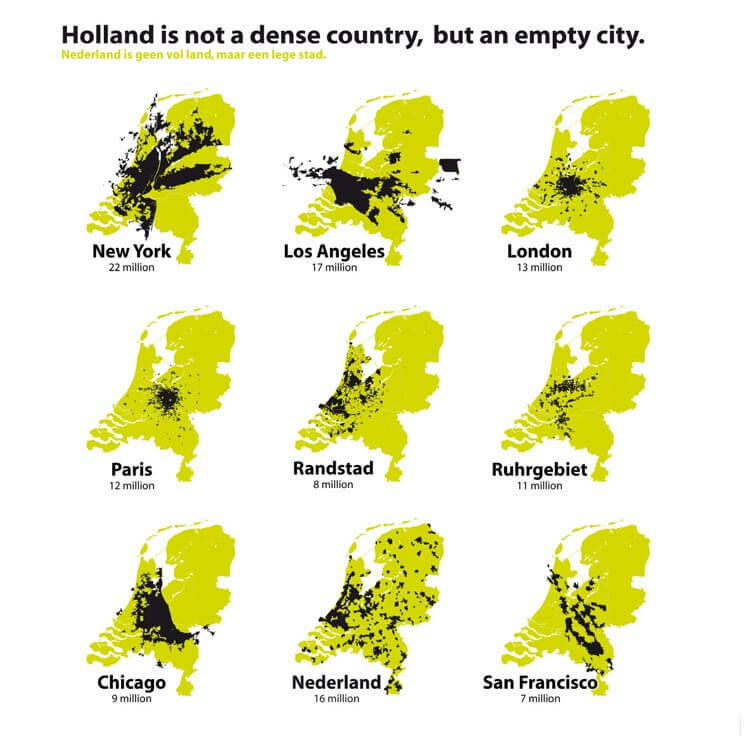 So it’s understandable that the Dutch might think that their country is a little bit crowded. However, the map above flips this idea on its head.